More Staffordshire residents are being urged to get connected to faster broadband, now that most of the county is able to access the technology. Staffordshire County Council leader Philip Atkins said: “The Superfast Staffordshire programme has been a huge success – enabling over 75,000 properties to connect to superfast broadband which had been previously been unable to do so. Furthermore over half of those have decided to get connected. “With most areas of the county now able to connect, we’re urging people to check the programme to find out more. Fibre broadband connection can make a significant difference to day-to-day living and broadening opportunities in addition to improving business productivity. 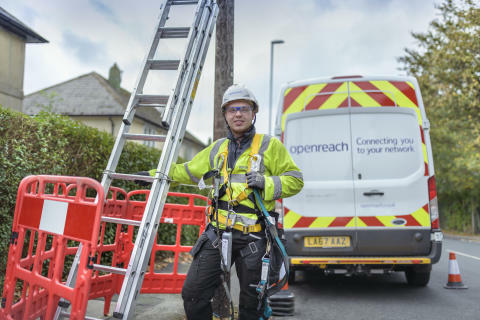 Carl Sproston, Openreach’s partnership director, said: “Our partnership here in Staffordshire has been a real success story so far, but we know there is still more to do. Our work is now taking place in some of the most rural parts of the county, but our skilled engineers are trained to overcome the challenges this brings.